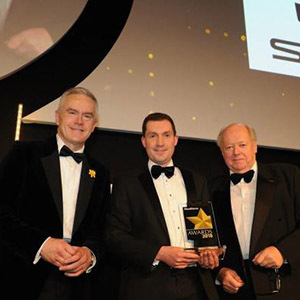 SEAT UK has been named the Most Improved Fleet Manufacturer of the Year by Fleet News following a prestigious ceremony in central London last night. On the 30th year of the Fleet News Awards, the brand secured one of the most hotly contested prizes, representing the pinnacle of fleet excellence in the eyes of industry. Judged by some of the most respected fleets, leasing providers and industry specialists in the UK – chaired by ex-SMMT chief executive Christopher Macgowan and audited by Deloitte – only the best-performing manufacturers, suppliers and people take home awards. In addition to the Most Improved Fleet Manufacturer win, SEAT was highly commended in the Best Small Car and Best Compact SUV categories for its Ibiza and New Arona respectively, adding to their growing reputation as class leaders, offering value, eye-catching design, practicality, technology and impressive driving dynamics. SEAT UK recorded its best ever fleet and true fleet sales results in 2017, up by 33.7% and 49.4% respectively, cementing its position as the fastest growing fleet manufacturer in the top 20. This strong performance also enabled the brand to secure the Most Improved Manufacturer award in last month’s Fleet World Honours.